New Car Rebates, Finance & Lease Deals. Find the Best Deals. New Car Rebates, Finance and Lease Deals - What's on Sale? Note: All Prices, finance rates and lease deals on this web page are subject to change without notice. Rebates, finance rates, and lease deals can vary greatly by geographical location. Please ask your local dealers for more information. Learn about rebates, incentives, and special deals below - or - select a make to view deals. Should You Pay Cash, Lease or Finance Your New Car? Buying a new car is a major purchase. Even the cheapest of new vehicles takes some time to pay off. An auto loan or payments on a lease add up over time, and they only stack on top of house payment, utility bills and groceries. With all of the expenses the average family has to juggle, it's no wonder that new car incentives are so popular. So how do rebates and incentives work, what types are there and how do you get them? This is the most simple and straightforward type of incentive for a new car purchase. Simply put, the car manufacturer offers cash back on the purchase of a new vehicle. If you have two cars, identical in every way, but one of them offers a $2,000 cash rebate, obviously that would be the better deal. With a cash rebate, the cash is given to the customer soon after the signing of the contract to purchase the vehicle. In most cases, the buyer will turn around and apply the cash towards paying off the car, but that is not required. Some buyers can and do take the money and walk away, choosing to pay the car off more gradually. The tricky part of a cash back rebate is qualifying for it. Different manufacturers have different deals for rebates at different times. You never know if a deal is going to pop up just after you buy a car. Some qualifiers include financing the car through the manufacturer, jumping ship from a competitor brand to their brand or buying during a certain time of the year. Car commercials very often will proclaim that buying from this dealer will get you a low fixed APR on your auto loan. Sometimes the rate is even as low as zero percent. This can save you a significant amount of money on paying off your auto loan over the course of several years. However, a low APR auto loan is not without its drawbacks. The first major drawback is qualification. In order to qualify for a low or no APR auto loan from a dealer, you need to have excellent credit. Without a very good credit score, you're likely to be declined for the particular loan in question. The last thing you want is to bank your financing on qualifying and then have to drop the process halfway through. The second major drawback is that low APR auto loan deals generally do not stack with cash back rebates. You will have to decide on one or the other when you pick a vehicle to buy. In most cases, a cash back deal will be better in both the short term and the long run than a low APR deal. Only in extreme cases with very good interest rates and long-term loans will the APR deal be more beneficial. Bear in mind that the typical low APR deal stipulates a specific period for repayment of the loan, which could add unnecessary financial stress in the coming years. Leasing a vehicle instead of negotiating a loan and buying it outright is another main tactic for getting a deal on a new car. Many dealerships will carefully calculate a lease that will result in lower prices over a given period than a comparable auto loan. It seems like a sure thing. Unfortunately, special leases often have strings attached. Some require specific repayment schedules that have strict penalties for failure. Others will offer you a lower monthly payment than any other deal you can find, but have a longer duration than other loans, which results in more money paid over time. When you're considering a special lease deal, you need to consider four major factors. These four things are the number of months in the lease, the amount of the down payment, the allowable number of miles you can drive in a year and the monthly payment you'll be responsible for paying. One increasingly common way to get a break in buying a new car is to buy one that the government subsidizes. Most of the time, this means you will be looking into an electric or hybrid vehicle. If one of these kinds of cars is in your consideration, look into the government tax credits that might be available. What credits exist vary depending on your state government, and the federal government changes their credit occasionally, so it is best to do some research before committing to a hybrid car. If you have the time to spare, you can easily get an excellent deal on a brand new car. The key is waiting and watching for deals. Identify the type of vehicle you're shooting for, watch for deals and calculate the best prices. With a little time and patience, you'll get quite the discount. Should You Pay Cash, Lease or Finance My New Car? The moment anyone walks into a car dealership, they are met with three options. They may purchase a car with cash, finance the car or lease the car. Each of these options has advantages and disadvantages. The buyer who is informed will make a decision that matches the car, their financial situation and the bargain the dealership is willing to offer. Please read over each payment option before purchasing a new car. Choosing the right option can save a great deal of time and energy. Paying cash for a car does a few things for a dealer. First, the dealer gets paid upfront for the vehicle. They immediately have money in their pocket that does not come from a financier. Also, the dealership is sure that they will be paid for the vehicle. However, a buyer has leverage when they purchase a car with cash. 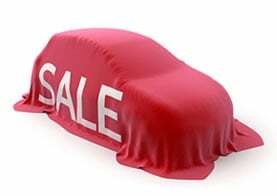 Cash allows the buyer to ask for a lower final price on the vehicle. Often, dealerships must raise the price of the car because they do not see all their money upfront. If the buyer is paying cash, the upfront money the dealership gets is substantial. Therefore, a lower price can be negotiated in some instances. The buyer also receives the benefit of leaving the dealership with the title to the car. No payments need to be paid, and the buyer can sell the car at any time with no trouble. Paying cash depletes a buyer's bank account quickly, and a buyer could end up with a car that devalues quickly. 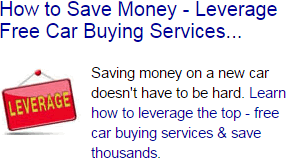 In these instances, the buyer has no leverage because they own the car entirely. The car can only be sold in the hope that it may produce some cash to purchase another vehicle, but these situations usually end in a loss for the buyer. Financing a vehicle purchase is the most common way to buy a car. People can show up to the dealership with pre-approval for their financing. People can show up to the dealership and receive approval for their financing once they have chosen a car. Financing the car allows families to plan their budget around their car payments. Financing helps the family to save money every month as they make partial payments on the car. This can save the family money in the short term, and a sale of the car can payoff the loan if the family sells for a good price. Financing can be problematic because it forces the buyer to pay more money than the car is worth. The interest rate on the loan will drive up the price of the car by several percent. The interest is folded into the loan, and the family will need to cover the interest in their monthly payments. However, this is often the only way for a family to get the right car for their situation. Despite its faults, financing a car is an effective way to buy a car. Leasing a car is the best thing for someone who has a flexible lifestyle. People who move often, work long hours or do not always need a car can lease a car for low payments every month. The lease can get someone behind the wheel of a very impressive car for very little money, or the lease can get someone any car that is relatively cheap. People who move often will be able to give the car back to end their lease, and people who change jobs can give the car back if they no longer need it. The problem with a lease is the short term. Many people prefer to keep a car for much longer than two or three years. Plus, the equity that has been paid into the car does not come back to the buyer. The dealership keeps all the money from lease payments, and the car must be returned at the end of the lease. There are good situations for leasing a car, but most people should avoid a lease if the prefer selling their car after they are finished with it. Someone who pays cash or finances a car will pay for their tax, tag and title out of their own pocket. Cash is needed to cover these expenses, or the expenses must be folded into the loan for the car. Someone who leases a vehicle must pay for tax, tag and title on the car, but they must give all that back to the dealership when the lease ends. The money spent here could be several thousand dollars, and many people do not have that money to waste. A financed or fully owned vehicle can be sold to recover that money, but a leased vehicle cannot. Choosing the proper way to pay for a new car requires some thought on the part of the buyer. The final choice should reflect the buyer's lifestyle, their financial position and the needs of their family. Once all considerations are made, the buyer can make a choice. Each one of the options above is right for someone.